Whether you layer this 2mm bead chain necklace with other chain necklaces in our selection or wear it with pendant your neckline is sure to be adored. 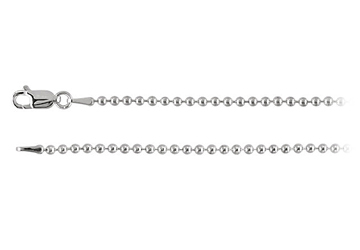 This sterling silver chain necklace is ideal for everyday wear as well as occasional wear. Lobster claw clasp beaded chain in sterling silver.